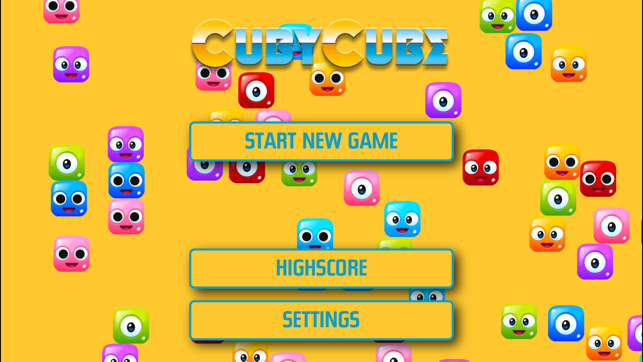 CubyCube packs a unique world of movement into a haptic and hectic, temper-testing game. 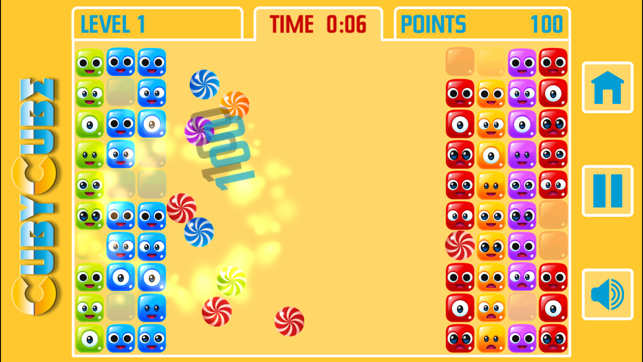 You steer, swerve, roll, tip and tilt your device to coax candy swirls into spaces and blow up rows of cubes on your left and right! CubyCube’s uncanny movement control comes from the gyroscope in your device. Real time physics leads to fresh, engrossing and innovative gameplay geared to the natural dynamics of the physical world. 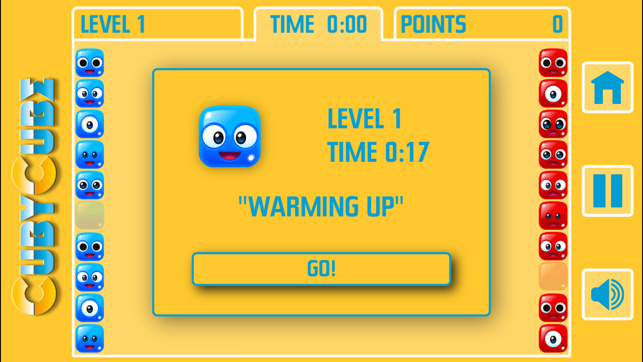 What this means is that you must synchronize your motor skills, coordination and patience, then wipe out rows of googly-eyed cubes by moving your device to wangle the whirly swirls. FEEL THE EMOTION OF THE MOTION! It gets tricky quickly as your natural physical motion tips the wrong colored swirls into gaps you frantically need to fill. The clock is ticking and pressure mounts with the rows closing in from both sides. Luckily, limited help is at hand with a drop of a SuperMine and you might just clear a side and catch a breath before the next wave squeezes your field of play into a solidly jammed game over. New swirls drop into the playing field – but what color are they? 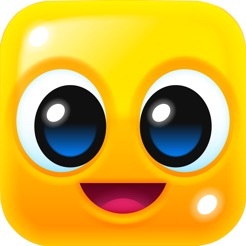 You’ll get the jitters juggling candy pink, strawberry, blueberry, fruity grape, tangy lime and zesty orange swirls as you physically maneuver your device through 30 levels of addictive multicolored fun. Now you’ll look forward to queues and waiting for the train so you can plunge into a happy, natural and bizarrely motional world of cubes and swirls! 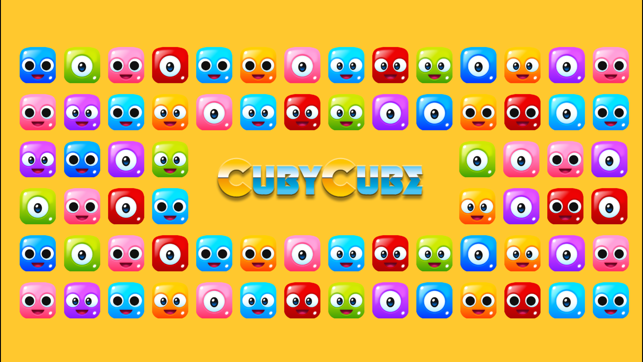 • PLAY CubyCube anywhere and instantly swap your worries for an ocean of motion! • GREAT for kids and adults with nervous energy and time to burn! 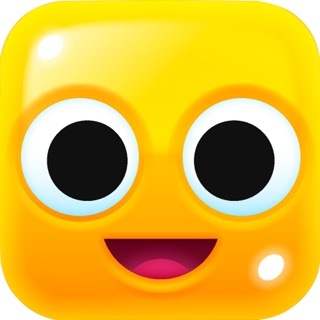 • 100% AD-FREE, NO IN-APP PURCHASE – just full version fun – no catch and no worries! 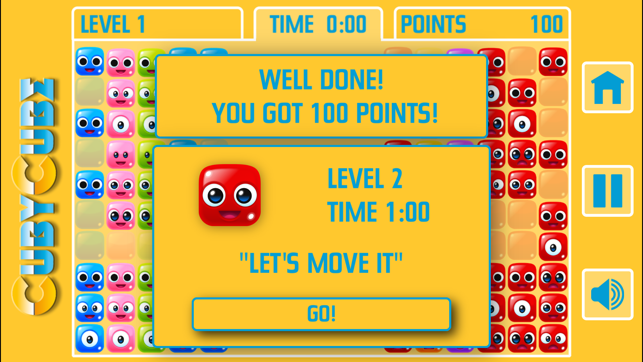 DOWNLOAD NOW and wangle the whirly swirls! Due to the demanding use of real time control and real time physics, CubyCube is not supported on devices older than the iPhone 5, iPad 4 and iPad Mini 2. CubyCube is not optimized for iPad Pro. This is a super fun arcade game that makes great use of the accelerator controls. It's crazy addictive so be careful! :) Nice to see such polish, too.